A Concord furnace is a reliable and solid piece of equipment, but on occasion, as with any furnace, it can malfunction. Before calling a repairman, try troubleshooting the problem yourself. You may find the problem is something simple you can solve on your own, saving you the cost of a service call. 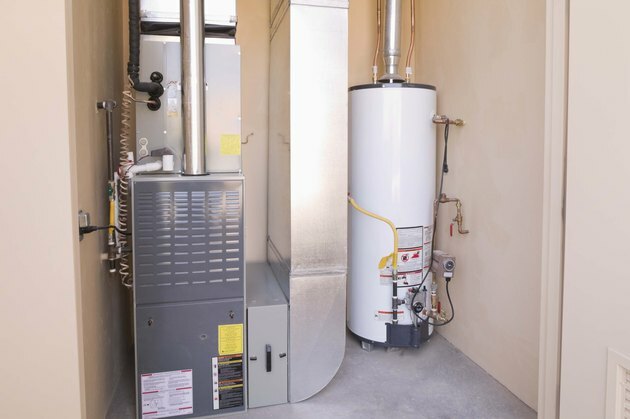 Refer to the owner's manual for your Concord furnace for specifics about your particular model and the location of parts. Set the thermostat to "Heat" and to a temperature that is warmer than the current temperature reading. Take off the cover to the thermostat so you can see the electronic components. If they are dusty, spray them with compressed air. Open the door to your circuit breaker panel and look inside to see if the breaker for your Concord furnace is on or if it has tripped off. If it did trip, turn it on again; if this happens again, you may need a new circuit breaker for the furnace. Find the SSU switch for your Concord furnace; it should be near your furnace on the wall or ceiling. Ensure that the SSU switch is in the "On" position. Check the door panel to the blower for your Concord furnace to make sure it is shut and in place. If the door is ajar, the electricity to the furnace will be shut off. Look to see if the pilot light is lit if your Concord furnace is powered by natural gas. If the pilot light is out, relight it with a fireplace match if you are comfortable doing so, or call a certified Concord repairman by calling Concord customer service.